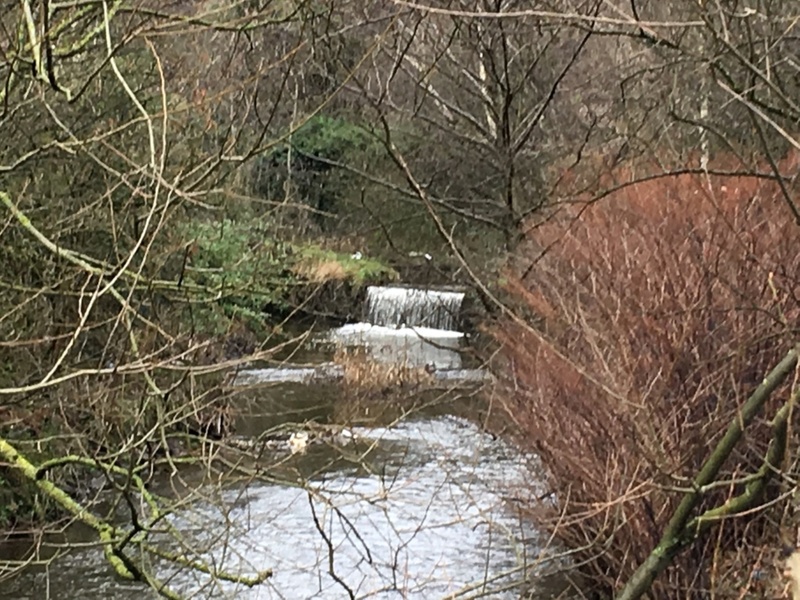 A waterfall in Wigan, but does anyone know where it is? I think this is within Tonker’s definitive Wigan, Admin, but I can’t find it to check. 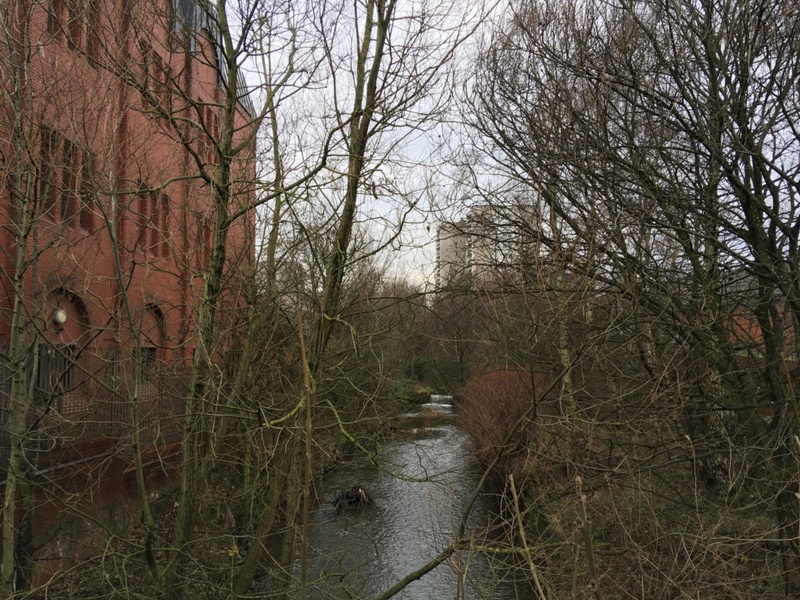 Down the River Douglas until where Poolstock Brook joins the river near the end of Baker Street. It then follows that brook until Poolstock Bridge (near Scotsman's Flash) and turns left, running alongside the canal to Warrington Road, Ince, when it joins Carrington Brook. It follows the brook near the canal almost to Rose Bridge, then goes off towards Whelley and joins another brook which runs under the road near the Alexandra pub and joins the River Douglas again behind that area they call Bottling Wood. Then it goes up the River Douglas until about a quarter of a mile from Boars Head pub, where Wigan Lane stops. It then goes west, behind the cemetary and joins a brook running behind Acacia Crescent, on Beech Hill estate, which it follows down to the River Douglas near Standish lower ground where we started. Which is, more or less, clearly shown on this map of Wigan Parish. All the surrounding places (Pemberton, Ince, Aspull, Haigh, Standish and Shevington) are also shown. Wigan covers about 2300 acres / three and a half square miles. You're only in Wigan when you're not somewhere else! It took me ages to type that! Thanks, Corky, that confirms it. It’s not a brook, Corky. on second thoughts, it must be the upper reaches of the Doogie..!!! The Dougie it is, Fred! Any idea roughly where? There used to be a Mill next to it. @jo anne wrote: It’s not a brook, Corky. Not sure about zebras, Corky? Bleach Mill, near Red Rock? Is it near Wigan rugby union club? @jo anne wrote: Not sure about zebras, Corky? Was thinking of canal bywashes between Britannia and Rose bridges, each of which has a zebra crossing. Higher than Red Rock or Lower than? ?